Skywatch Friday – The light bulb in the sky ! | Highway - the only way ! Skywatch Friday – The light bulb in the sky ! Summer is at its peak and Summer is all about the sun, the glowing light bulb in the sky. It does look like one, here and seems to be reminding us that it is time to switch on the lights ! 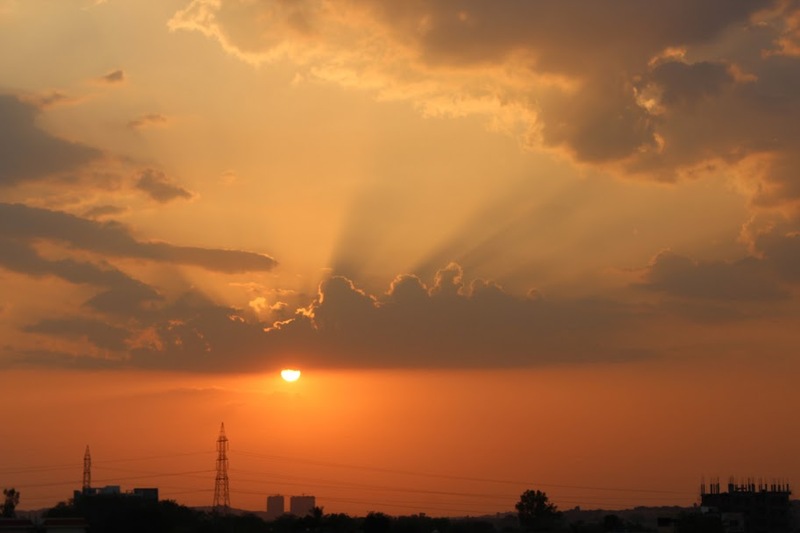 This is a picture of the sun setting over Hyderabad, India, for more views of the skies around the world, hop on to Skywatch Friday. Thank you. You have a great weekend too !